Stanislav Cherchesov’s Russia is already a new beast from the one that took the World Cup by storm as they head into a crucial home doubleheader in the inaugural UEFA Nations League. Legendary goalkeeper Igor Akinfeev has retired from international football, Aleksandr Golovin is no longer based in Moscow, while two former stalwarts are mired in serious controversy. Whatever the drama around Pavel Mamaev and Aleksandr Kokorin’s arrest for assault this week, neither were involved in the squad, although with both returning from injury to hit reasonable form it is at least a question that could have been raised. Artem Dzyuba has simply continued with his sparkling form that exploded during this summer’s tournament. His Zenit St. Petersburg have shot to the top of the table, inspired in no small part by his goals. With Akinfeev permanently focussing on his club career, the captaincy looks more solidly settled in the hulking frontman’s grip. 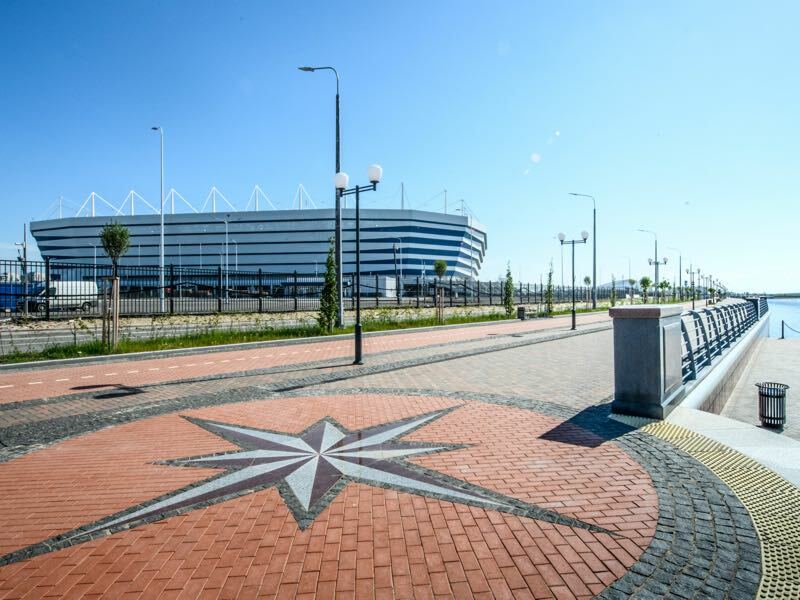 His finish away to Turkey in the first Nations League fixture back in September set up a controlling start to the three-team group – with two wins this break, Russia will be one of the first countries to qualify for the playoff tournament next summer. It is a sign of strength in the new-look Russian squad that the only player with 30 caps or more – Alan Dzagoev – will hardly be missed if he is rested as expected. 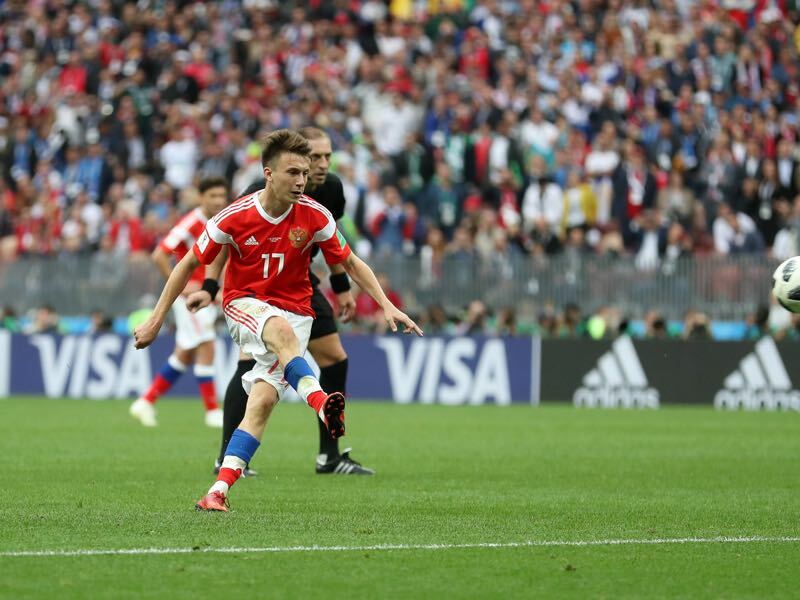 His creativity could well be called upon at some stage, but with Golovin, the slightly misfiring but majestically gifted Miranchuk twins and flying winger Denis Cheryshev, there is no shortage of invention. The choice of staging the match outside the usual double axis of Moscow and St. Petersburg might impact on the initial atmosphere. Once Dzyuba’s men get the bit between their teeth, however, there will be quite a task on for Sweden to emerge unscathed. The Swedes are slightly unfairly tainted by their record of recent losses. Reaching the World Cup quarter-final was an excellent achievement and to fall to an exuberant England was no shame. Losing their opening Nations League fixture at home to Turkey was a major blow, but was looking very different with just 15 minutes to go at 2-1 up. The stellar performance in running then-reigning World Champions Germany so close in Sochi in the group stages has gone rather underappreciated in light of the subsequent results. Unlike Russia, and even taking the retirement of Zlatan Ibrahimovic this year, Sweden have eight players with at least 30 caps. Sebastian Larsson and Andreas Granqvist have both returned to their homeland for a final fling before they hang up their boots, and both are top of their respective leagues with AIK Stockholm and Helsingborg. Granqvist, though, is only playing second-tier football with his boyhood club, so whether he will be able to adjust to the inevitable higher pace is questionable. The onus is entirely on the visitors to get a result in this match. Lose, and they have next to no chance of gaining promotion to League A and more importantly the playoffs that grant a real chance of making it through to Euro 2020. Head to head records are the first deciding factor in situations with teams level on points in the group stages, so a Russia win would definitively end what hopes Sweden may have harboured of making it through. In the long term, there are arguments to be made for welcoming relegation to a lower league, as in theory it will give a more comfortable route to qualifying for the next major tournament the Nations League applies to. For now, however, the pressure is on. The Swede has picked up the mantle of key attacking threat for high-flying Krasnodar in the Russian Premier League in the absence of former talisman Fedor Smolov, checking in with three goals in his last four club matches. 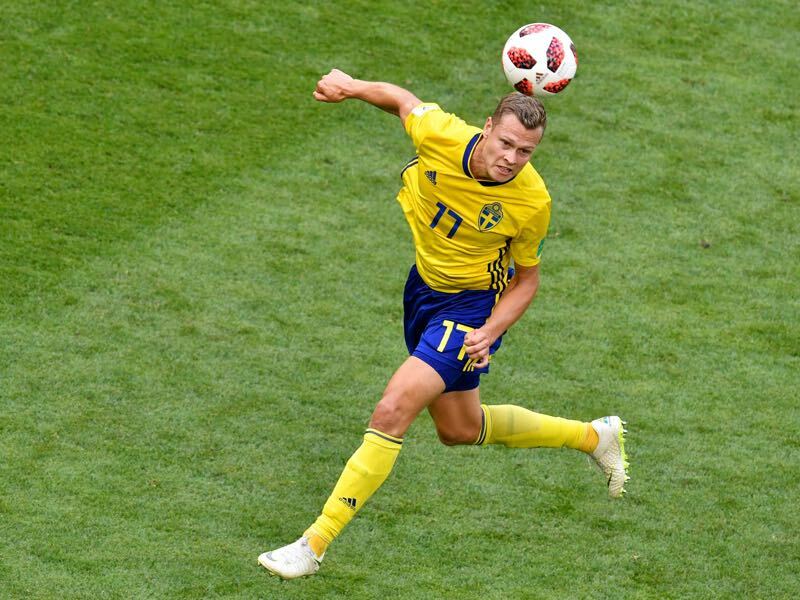 His powerful runs into the box will be a key area that Russia’s midfield will have to keep a close eye on, otherwise Sweden will be able to outnumber their opposition defenders. His accuracy from open play with both his passing and shooting make him a permanent risk. 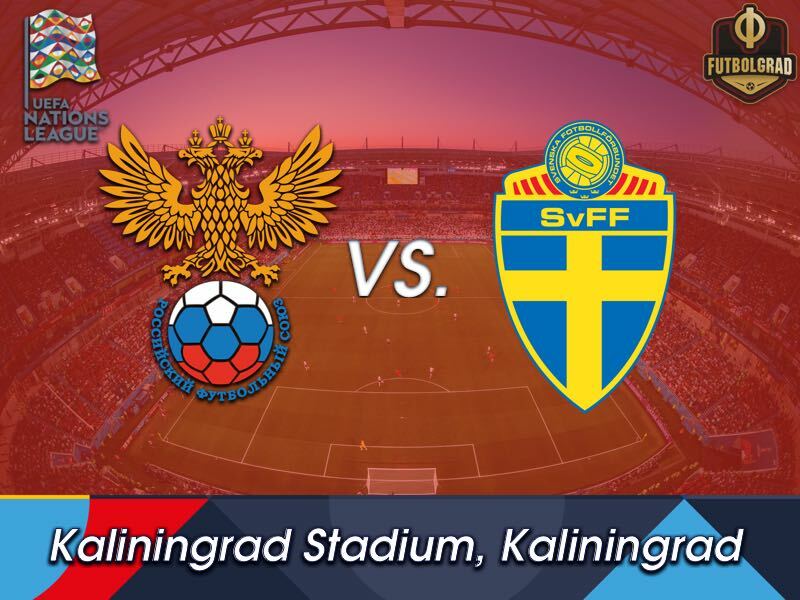 Former Krasnodar teammates Viktor Claesson, national team captain Andreas Granqvist and Russia’s Yuriy Gazinskiy will face each other on opposing sides.